Each month, new Courses are launched under various topics and released in increments over the following few months. 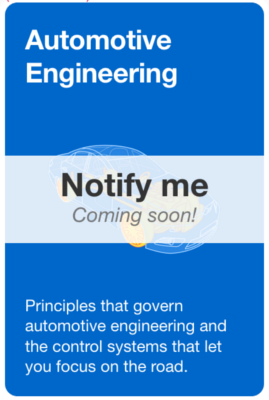 For upcoming chapters and courses, click "Notify Me" and we'll email you once the course launches. New Topic areas are developed over time, with our focus on math, physics, and computer science. We plan to build an even more comprehensive curriculum of STEM topics over the next few years.